Gustaf & Elias aka Skudge hail from a basement somewhere in the North West of Stockholm, where they met in 2009 via Gustaf’s cousin. Since then they have gathered their collective passion for all things analogue and forged a partnership that has produced a range of breathtakingly heavy yet elegant techno records, the type of records that while cavernous and industrial have a consistently dynamic energy to them. Yes this is heads down, often stripped back techno but unlike many techno producers it is not indistinguishable formulaic dancefloor fodder. Skudge have a sound, a sound that has secured them a growing reputation among respected circles across Europe and beyond. Debuting with ‘Depth Buffering’ on Alpha House in 2010 Skudge quickly alerted themselves to the attentive ears of Berghain and the ever on point Resident Advisor, however despite this early success the Swedish duo have consistently maintained a near radio silence on all things Skudge related, channeling all their PR powers into the studio. While this may have resulted in a slightly more steady rise to prominence in an age of noisy social networking responsibilities, it would seem that this bold approach has enabled them to maintain a virtually unparalleled level of consistency and quality in their music, devoid of distraction and trends. 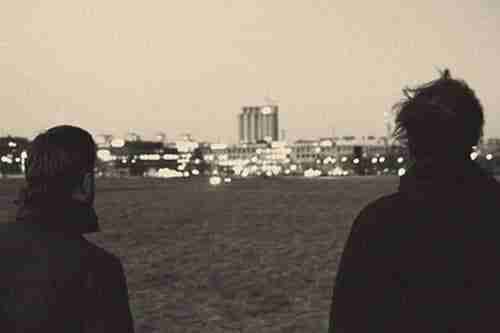 In recent times this level of secrecy has come under increasing criticism as being a contrived marketing ploy, however in a 2011 interview on the Amoeba Blog it is clear that this is not the duo’s intention, but rather they wish to maintain a keen focus on the entire music process from studio to distribution, an ethos that drives their own label Skudge Records. Skudge Records was launched in 2010 with the killer double A Side Convolution / Contamination and has since gone on to put out another 5 comparable releases, various remix packages featuring the likes of Boddika, Jared Wilson, Marcel Dettmann, Cosmin TRG, Appleblim and 2562 to name a few, and in April 2011 their debut LP ‘Phantom‘. They have since launched their sister label Skudge presents. Skudge have a uniquely idosyncractic analgoue driven approach to techno music. Their simmering combination of pulsing beats, clanking industrial synths and occasional melodic stabs smother you in a warm blanket of deliriously repetitive yet hugely gratifying sounds.